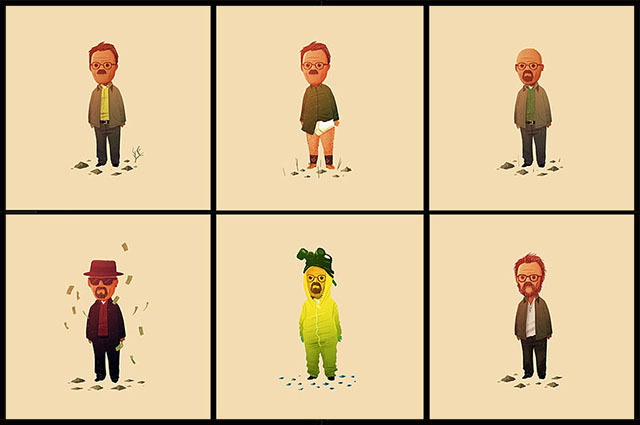 Artist Olly Moss has created Minute Walts, a series of illustrations displaying the evolution of Walter White from seasons one through five of Breaking Bad. Individual and full set prints are available to purchase online for only 24 hours at the Olly Moss Shop. Previously, we’ve written about Olly’s vast collection of clever illustrations.